The key premise behind HLAC methodology for accreditation is to focus on the process. 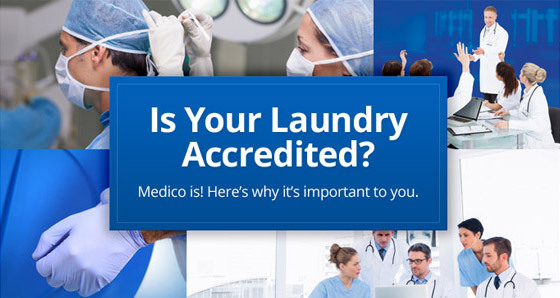 HLAC inspects a laundry’s processes to ensure that its processes meet a predetermined standard viewed as the best method of insuring that the product is clean and free from any danger to the patient. 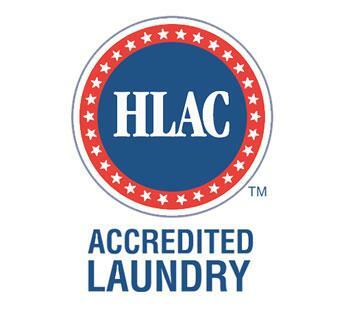 HLAC examines a Laundry’s process using a detailed checklist of standardized criteria supported by recognized state, federal and international agencies as well as industry standards. HLAC accreditation is an all-inclusive, on-site inspection of the facility, its processes and procedures and protocols. On-site inspectors observe the operations, inspect its policies and question both managers and production staff on the job for compliance. Production staff and Managers are interviewed and questioned as to what is done, how it is done and their role in keeping the laundry clean and safe. The day long inspection observes operations, equipment, building design, infrastructure systems and delivery methods. While internationally there is some reliance on biological testing of healthcare textiles after laundering, there is no universally accepted definition of what is hygienically clean. Currently, there is no consensus from the CDC or EPA on a standard test method for textile hygiene. HLAC believes that testing is useful for quality assurance. HLAC’s process centric focus reduces the need to rely on sporadic end product sampling and testing. HLAC believes that the highest level of assurance can only be provided with a correctly designed and managed laundry and linen program. A thorough review and inspection of the laundry textile process from pick up of soiled linen, processing of the linen and delivery of the clean product back to the customer provides the best assurance to the customer of a hygienically clean product. Hygienically Clean believes microbial measurement of clean laundry is the only true assurance that textiles pose no risk of infection. Hygienically Clean adds outcome measures to structural and process measures long mandated, regulated or suggested by public and private authorities. The Hygienically Clean designation assures the safety and cleanliness of textiles rather than certifying only laundry processes. Hygienically Clean is scientifically based. It sets an established threshold that guides the reduction of pathogens on textiles to levels that pose no threat of human illness, according to the Certification Association for Professional Textile Service Administration (CAPTSA). The microbial levels established by CAPTSA and the European Union (EU) for laundered textiles 30 years ago are 20 colony forming units (CFU) per square decimeter for healthcare textiles. This serves as the basis for Hygienically Clean certification. 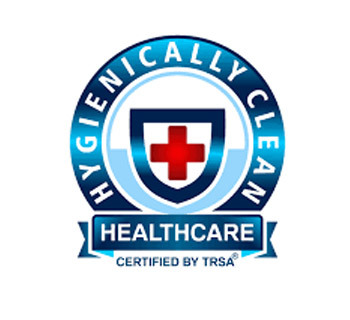 Hygienically Clean does not certify a facility simply on the basis of following all proper policies and procedures to prevent contamination; it requires consecutive months of independent laboratory testing before certification and ongoing testing to maintain the designation. Focusing on outcome measures, the report continues, sparks engagement in broader approaches to quality improvement activities “ideally relying on rapid learning through root cause analysis and teamwork”. Hygienically Clean encompasses these concepts without ignoring the contribution of specific processes that are associated with achieving better outcomes. Hygienically Clean views every structure and process as an internal tactic, part of a comprehensive approach to achieving good outcomes rather than an end in itself. Hygienically Clean builds upon requirements such as documentation and inspection while adding quantifiable testing of outcomes. Clean Green certified linen, uniform and facility services operations meet quality standards for effectiveness in conserving resources and minimizing environmental impact. Customers that use Clean Green certified companies to supply, launder and maintain linens, uniforms, mats and other reusable textiles can be assured that their provider maximizes sustainable practices. Large-scale laundries earn Clean Green standards by using high-capacity washing, drying and wrinkle-removal equipment that improve efficiency. Proudly serving Healthcare and Medical Linen Services and Uniform needs in the Los Angeles greater area since 1932!